n the look out for authors who would give me that wistful, magical feel of…well, magic. A lot of authors attempt it, but only a few succeed. I think this is exactly why VE Schwab is fast becoming a favorite author. I read A Darker Shade of Magic earlier this year with no expectations at all. Needless to say, I ended up being a fan. So naturally, I tried to devour her other books and ended up with This Savage Song. The title kind of speaks for itself. To quote the younger millennials, this books is savage AF. But in the best way. First, world building is savagely wonderful. Raw, gritty. It took a while for my mind to catch up, though. 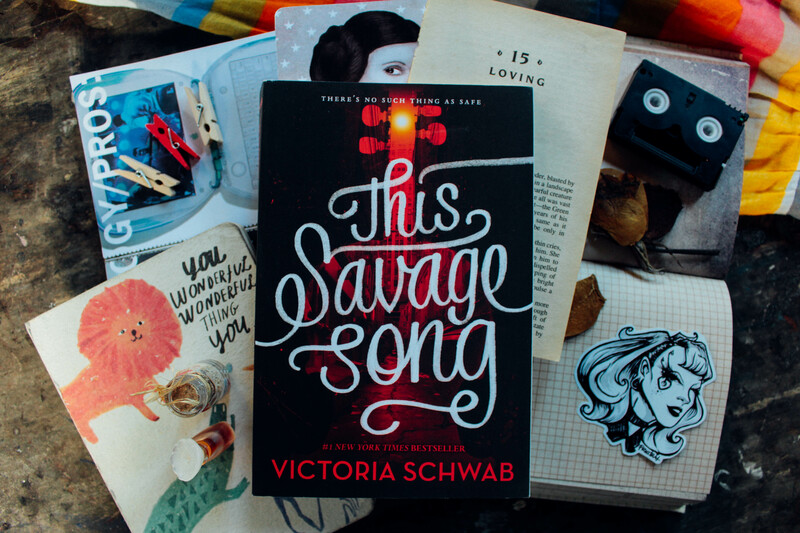 VE Schwab is the kind of author who shows, not tells so you really have to pay attention to the details. You can’t be a lazy reader. Harker is a girl who wants to be just as ruthless as her father. August Flynn is a monster who just wants to be a boy. And all around them are forces who are at each others’ throats, vying for power and survival. I love the complexity and depth of the characters in this novel. I love how flawed Kate is and how seemingly innocent August is. They have a lot of differences but the nuances in their character tell you they have a lot more in common. There are no Mary Sues here; just humans (or monsters) in all their imperfect glory. The plot is this adrenaline-pumping, twisting thing that I really enjoyed. Most of it is built on running and slashing and killing which was wonderfully executed. I loved the quiet parts in between all the chaos, the little everyday things that were thrown here and there. They provided a stark contrast between the world they were living in and the world they want to live in and I think that was lovely. All in all, a really great read. I can’t wait to get my hands on book two, Our Dark Duet. Loved This Savage Song? Let me know what you think in the comments below!